Samsung uses this DSLR mage to demonstrate the Galaxy A8 Star’s camera. Samsung uses an image taken by a professional photographer to show off the capabilities of the Samsung Galaxy A8 Star. That wouldn’t be a problem except the picture was taken with a digital single-lens reflex (DSLR) camera, not the phone Samsung is pretending it came from. If that wasn’t bad enough, it’s not the first time something like this has happened. Dunja Djudjic, a professional photographer, sold an image of herself to the stock photo service EyeEm. From there it somehow made its way to Samsung, where it appears today on the webpage for the Galaxy A8 Star. On her website, Djudjic says she took this image with a standard DSLR. It would be hard for anyone to refute her claim, as it’s not just a picture by her, it’s a picture of her. Samsung’s website has a note saying “Images are for reference only” in small print at the bottom of the page. Still, most people surely assume any picture used to demonstrate the capabilities of a phone camera was taken with that device. If this sounds familiar, it’s because Samsung used images from the Getty stock image service in an advertising campaign this summer. Apple doesn’t have to do this. 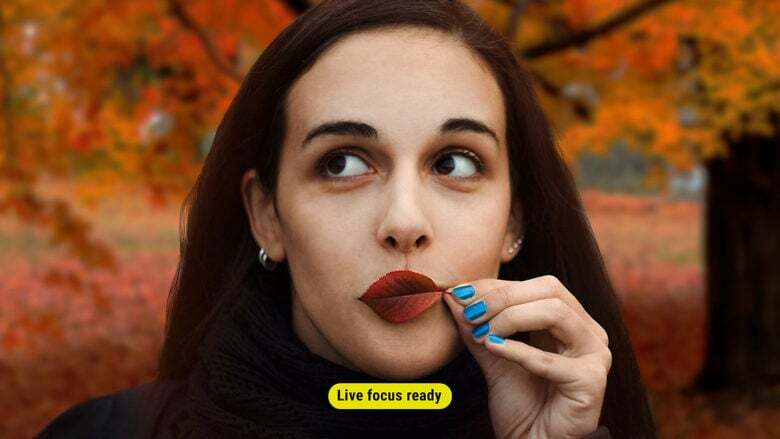 It uses the “Shot on iPhone” campaign to get people to submit images taken with iOS handsets via social media services. In a similar — and equally funny — slip-up, an official Samsung Twitter feed was recently caught promoting the Galaxy Note 9 from an iPhone.